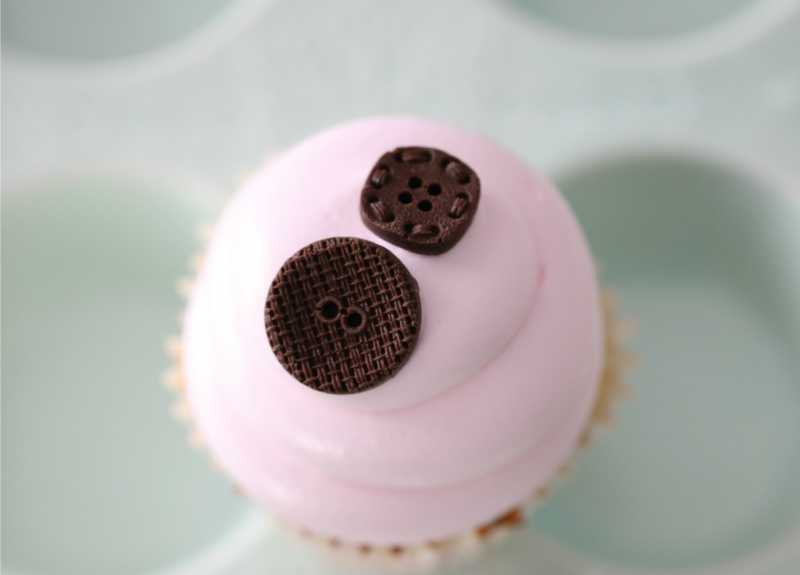 I love using Silicone Molds; my favorite is a button mold. 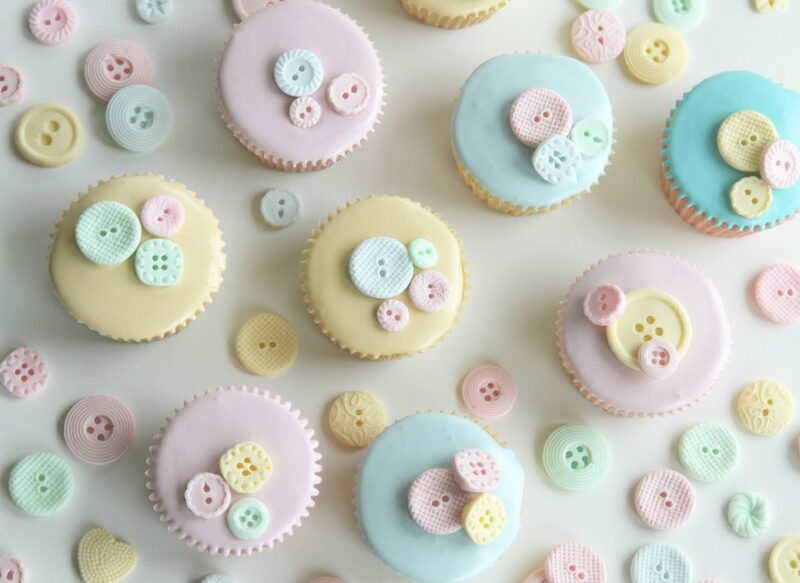 I love to make cute buttons from marzipan and decorate the top of my cupcakes. 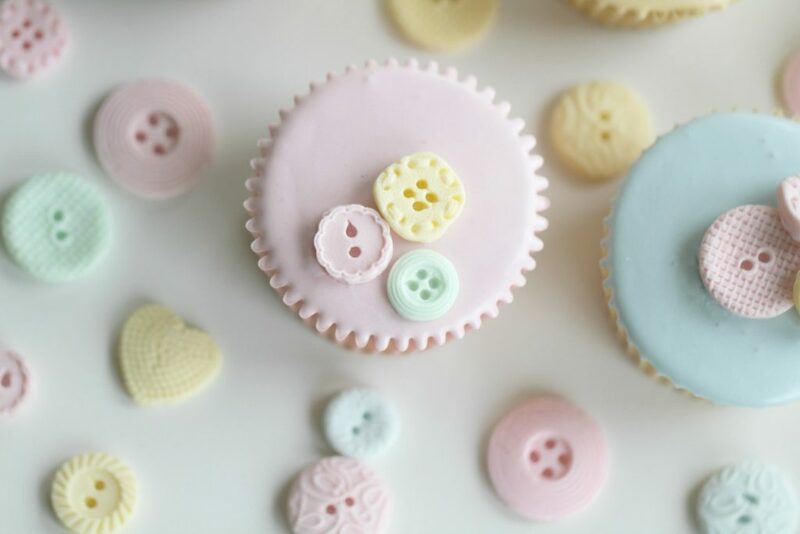 the great thing about these molds you can also use melted dark chocolate, and it gives some beautiful looking chocolate buttons to put on your cupcake or cakes. 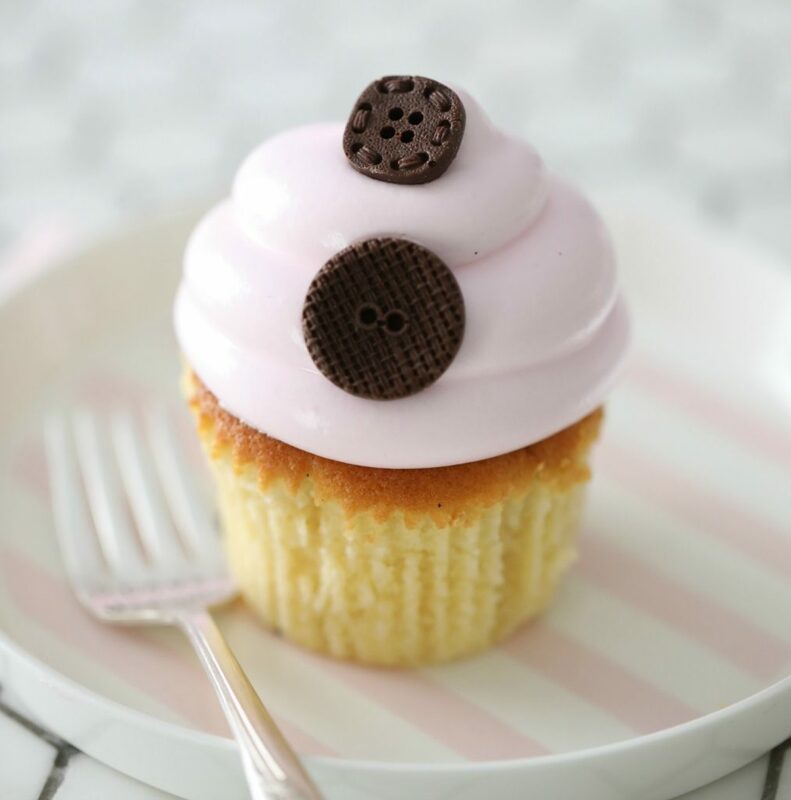 I love the combination of a vanilla cupcake, topped with a soft pink frosting and a cute chocolate button on top; it matches perfectly. 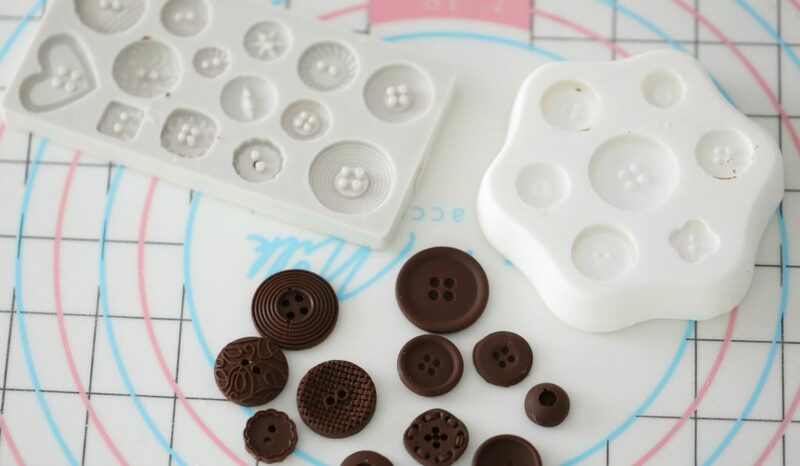 The button molds I use, I purchased years back from Squire Kitchen, and some from sugarcraft but just google silicone button molds and a lot of them will come up. 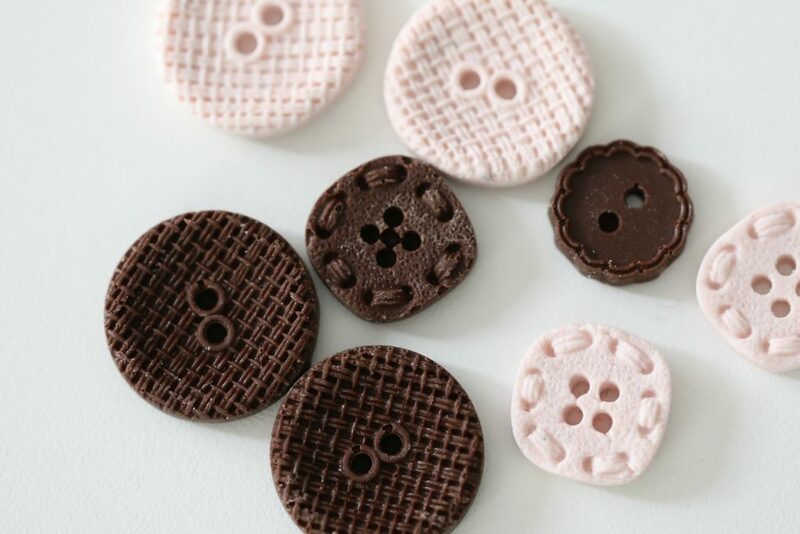 To make these chocolate buttons, you will need. 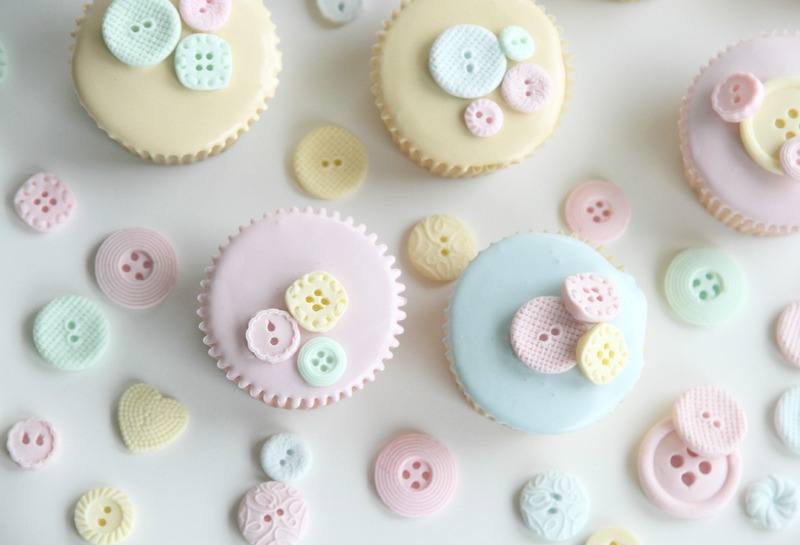 To make these marzipan buttons, you will need. Start with a bar of high-quality semisweet or bittersweet chocolate. Cut the chocolate into chunks and shards with a serrated knife, doing this will make it much easier to melt. To melt the chocolate, place it in a bowl and put it in the microwave, heat it on high for 15 seconds, remove it from the microwave and stir. Repeat heating at intervals, 15 seconds each time stirring in between, until the chocolate is completely melted and has a smooth consistency. Fill each button mold with melted chocolate; I use a teaspoon for that. Shake the silicon mold softly to make sure the chocolate settles in all the corners. 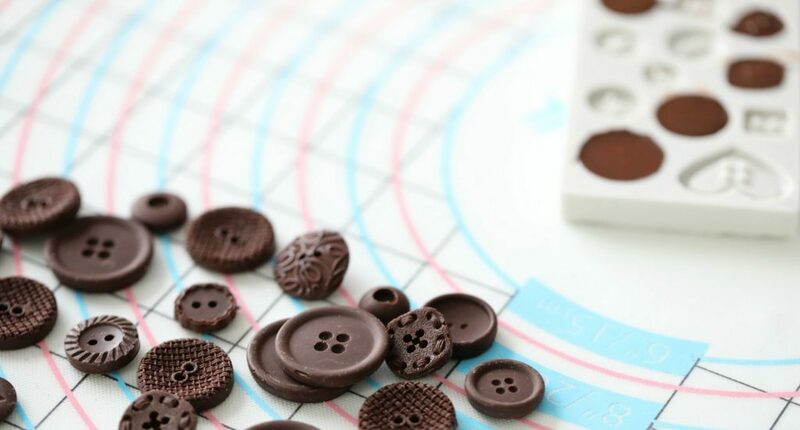 Once firm press the chocolate buttons out of the mold. It is now ready to use as decoration on cupcakes, cakes, etc. Dust the mold with a little cornstarch and tap out the excess. Keep the fingers of both hands dusted with cornstarch as well so that the marzipan stays in the mold and doesn’t stick to your hands. Make a small ball with a tiny piece of marzipan, and press the marzipan into the button mold. Smooth the marzipan into the mold with your fingers, repeat with the rest. 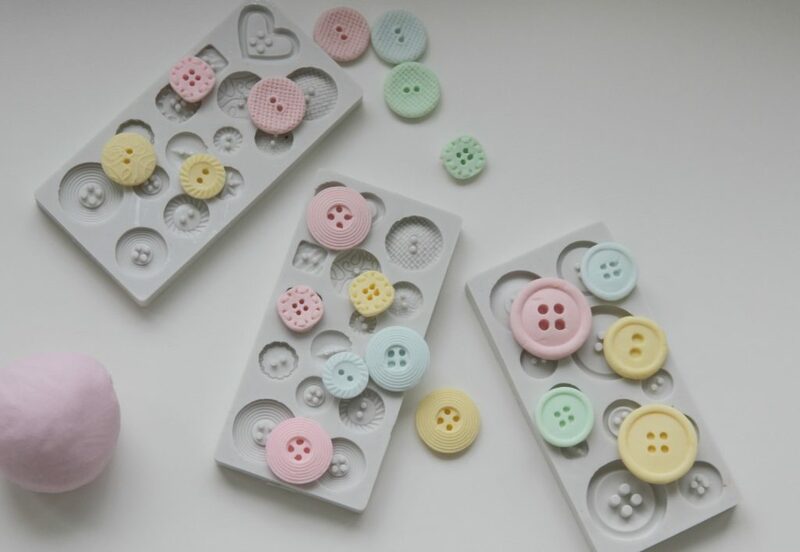 Place the button mold in the freezer for 2-3 minutes, or until the marzipan is more firm. Once firm press the marzipan buttons out of the mold. 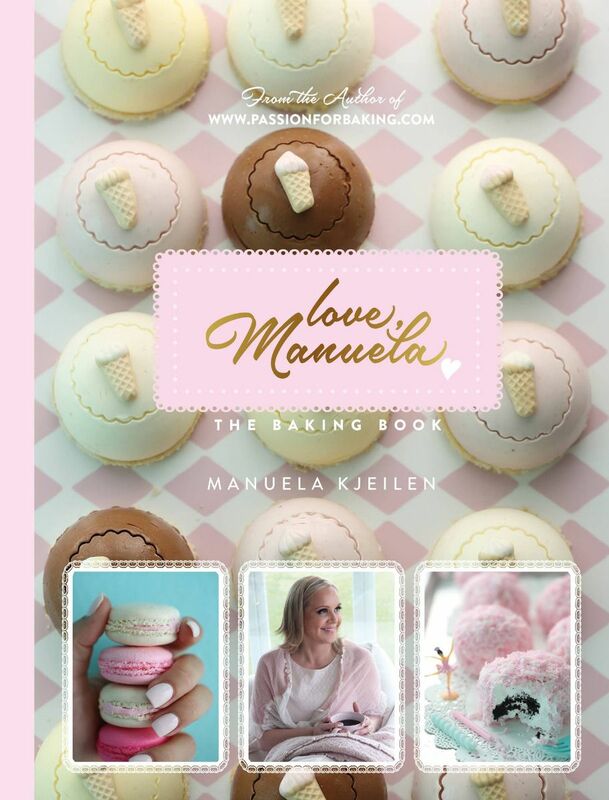 Leave the marzipan button to dry on the kitchen counter before you use it. 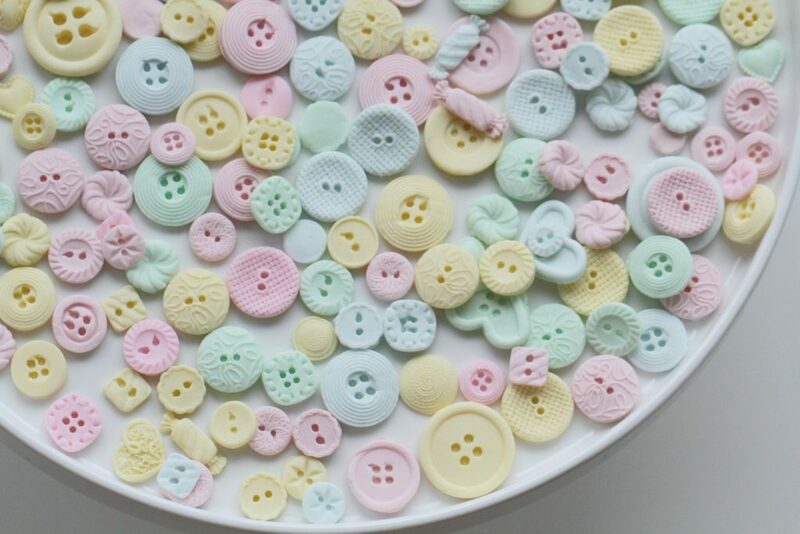 If you happen to freeze the button mold too long, the marzipan buttons will be wet and sticky when you take them out, don’t worry; just let them dry fully for about 30 minutes at room temp, and they will get dry. check back soon for more recipes, and tips and tutorials.